Primacolor, an Arcoplex Group company specialized in the production of masterbatches, following an investment project aimed at continuous improvement is proud to announce that has been purchased a new press equipped with a mold allowing the production of curved sample, in addition to the standard color plates. To those users, already in the sampling phase, the new mold will allow to see the actual chromatic rendition due to the reflection of the light hitting a curved body. In fact, unlike the flat color plates, the curved sample is hit by light at different angles of incidence, returning a different color effect. Thanks to the new mold the transformers operating in the cosmetics, packaging and closures sector, producing caps, hoses, cans, etc., can count on a top level service as the curved sample provided will have features similar to the final product. 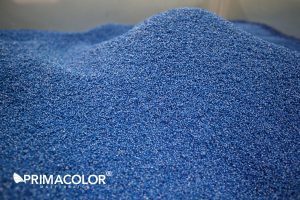 Primacolor produces masterbatches that can find application in all the transformation fields starting from pre-mixed mixtures of organic and inorganic pigments, maintaining their intrinsic qualities, such as the excellent dispersion and the ease of diffusion in the resins. For further information please contact Primacolor at the number 0363-332040 or at the e-mail address [email protected], the highly specialized technical staff will answer any questions.